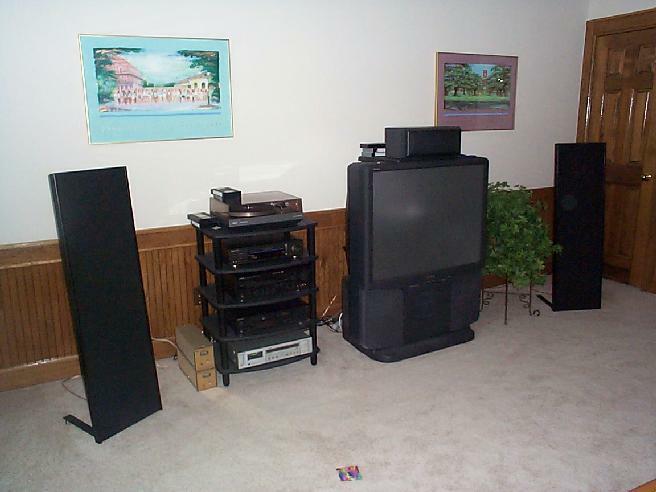 Here's my "budget" home theater. Everything except the Rear Projection set and the Monoblocks were purchased across the net either from individuals, EBAY.com or UBID.com. I know the pieces all don't match perfectly but the sound field is quite pleasing in both theater and music only mode.